May 1, 2010 - Chelsea, MA – Water service to all MWRA customer communities east of Weston has been interrupted by a major water pipe break in Weston. Due to this break, A BOIL WATER ORDER IS BEING ISSUED FOR DRINKING WATER FOR ALL MWRA COMMUNITIES EAST OF WESTON UNTIL FURTHER NOTICE. In addition, emergency water conservation measures are being implemented for all impacted communities. 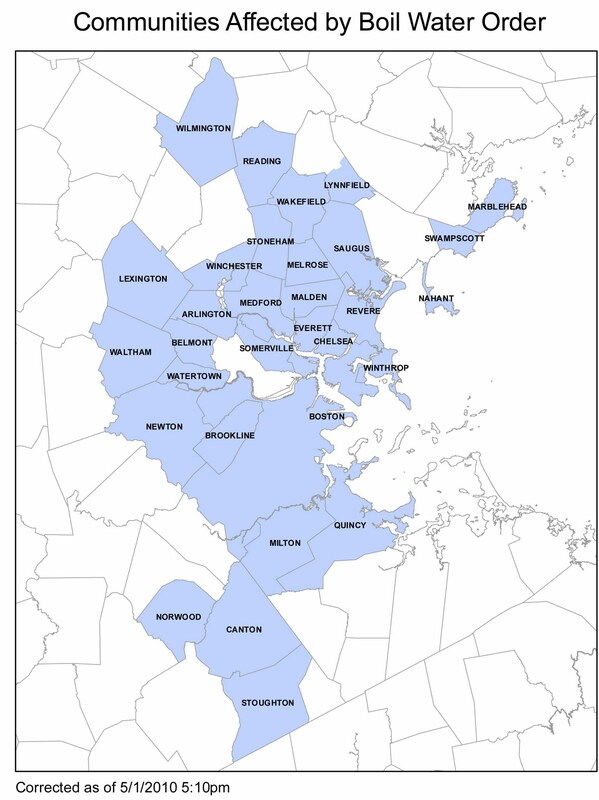 A complete list of MWRA water communities is included on this page.